So when we were finished, we planned on going back to school for lunch, and then plant trees in school, so I would have been excused for 4th period. We came back around the end of early lunch, where everyone from the grade 9 Church field trip was back. I greeted my friends, and we went outside for a stroll because apparently they would have lunch for both breaks. (There are two lunch breaks in my school. Early lunch is for grades 9 and 11, late is for 10 and 12.) A lot of 9th graders went outside too. They then annouced that all 9th graders to go to their period 3 class WHEN everyone was outside. I had to go inside to take a piss, and the cleaning lady angrily told my friends and I to get to class and stop skipping class. We were confused. And to be frank, because I was in a different field trip, I was actually supposed to be on break right now. I was not supposed to be in class, but I went to class anyways and didn’t get to eat. Whatever. I saw my friend Eliza (note that it’s not her real name, I just hate letter code names) and asked her what was going on, considering that there was only 7 people in class. There was homework on the board, and nothing was going on. Sweet. I played chess and war with people, because there was not enough people to start a lesson. So far, my team is currently Prinplup, Staravia, Roselia, Gabite, and Togetic. So my Roselia was useless for a long time, until I taught it return. Considering its friendship level is near the max, the attack power is hella high. ROSELIA IS NOW MY SWEEPER. STRONGER THAN MY STARTER. So today was the rehearsal of student council speeches. Tomorrow the election begins. My speech was the most powerful, but all of the other speeches were hilarious, or official. Mine was casual, short, and powerful. This one guy, who was Chinese, went up and made a lot of racist Asian jokes. You see, last Thursday the teachers had to moderate your speeches, and I can’t believe they allowed those jokes to slide! I’m not offended, I make them all of the time, but it’s just… One of the few things you should never say in a speech. His speech was the most memorable, because it was so terrible. He seems very irresponsible, and I would hate to lose to him. This year, only 15 people are running, 2 are running for grade nine (the guy who won the grade 9 rep election only because he was a guy and I), and there are a lot of 10th and 11th graders. Only 12 people can make it, but it is possible that they’ll make an council of only EIGHT members, which is… Insanely small. So I have to be better than 3 people, and the odds are definitely not in my favour, but I desire to win. Good luck to me for tomorrow, I guess. 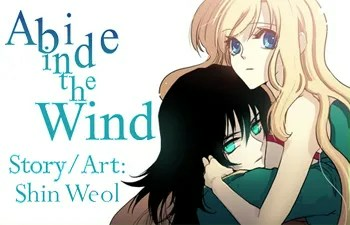 Abide in the Wind is a manhwa made by Shin Weol. I shouldn’t even have to explain why I decided to give this series a try. If you know me well by talking or stalking to me, you’d know very well why I would decide to read this. Anyways, essentially the story is about a girl named Reana who found and saves a dragon named Kairak. She turns into his Riyena, and now is tasked to help the dragon (who can transform into a human forme) mature in a year and leave Earth behind. Now, I shall describe my opinions about this series up to the second episode. (The pages are separated into chapters, which are separated to episodes. Consider them as volumes, if you will.) Instead of talking about the story, I will mainly focus my attention to the characters. First introduced as a gentle, strong young lady, who does things purely for the sake of doing something good. Unlike other humans, this woman is entirely selfless and always puts others first. Just like what Didan (a servant of Kairak) says, people can easily take advantage of her kind soul. Which people end up doing. And to be blunt, it’s annoying and irritating. There was one point in the series, where she becomes upset because she kills a monster that would have killed her friend; she felt pity towards the monster she killed. I swear, there’s a point where you’re too nice. She crosses this boarder, and I promise you that she would cry at Satan’s death, because Shin made her too generous for her own good. What’s saddening is that this is really her character. She’s just a really compassionate soul who wants to help others. We never really know her personally. What does she like? What does she inspire to be? What are her hobbies? We never, for the first two chapters, take a look inside her beyond how nice she is. This makes her very boring. Did we also mention that she’s sometimes depressing and gets upset and whines a lot? Y’know, the usual. I was promised this girl was really cool, but she’s just those heroes who are filled with good intentions, and their only flaw is simply… Being too nice, or having human emotions. A 299 year old dragon experiencing his tween years (I’m not even kidding). He was isolated for most of his life, so he does not express any emotions whatsoever, and always has a blank face. What an edgy 12 year old! Unlike Reana, he is not selfless, nor selfish. He just does not express any emotion. His face never changes from a poker face. From what we can see later, he definitely has feelings towards Reana. He will harm anyone who tries to flirt or harm her without hesitation. But he also struggles the same thing Reana faces, except it could be a bit more justified, seeing how he has no emotions from being isolated from humans. 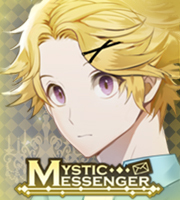 Especially since his servant, Didan wants him to continue having no emotions, as it will be easier for him to move from Earth to where ever the dragons reside in. The series does attempt to show that he is becoming more human, but he does not change much until the ending of episode 2, to which Reana only implied change; there was no change being shown besides her imagination. It would have been better if the story moved at a quicker pace, and perhaps gradually showed him caring more, and revealing some things he might be interested in BESIDES REANA. An annoying sassy pest who is Kairak’s servant that is only there to really narrate the story, and prevents Kairak from feeling emotion. This guy also suffers from being a “person”. It is mediocre. Many people adore the all colour pages, but to be honest, I prefer the shading of black and white illustrations. Like most online manhwa, it tends to have a lot of left over space, and words in between panels to look dramatic. I dislike the layout, seriously. There is a lot of empty space, and poorly drawn backgrounds. When the series does try to illustrate proper backgrounds, it actually looks beautiful. The art does not appear to be done carefully; it appears rushed. As a result, the art does not look good. You do not need to see some of the panels sometimes. People not care for pictures when the art isn’t done amazingly. A good story attracts the reader from the beginning. If it can not attract the reader, then the story has a terrible introduction. I do not care if the later parts are good; the earlier parts should have attracted me so then I can read the best parts. So far, this story does not contain any plot twists. Anything can be easily predicted if you think for a second. Some parts are so vague and do not make sense, which infuriates me, because it’s a cheap way to make people wonder, “OH, WHAT’S GOING TO HAPPEN NEXT?” And usually, instead of showing you what happened, the dragon’s annoying servant informs Reana, where the reader can see what is happening! YAAAY! And then they add some upsetting scenes, which do not impact a desensitized little child like me. Most of these characters had little to no reasons to care for, so I have no reasons to be affected by them. Something happens to them, someone cries, and as a reader, we have no emotional bond with these side characters. When you think about it, those characters are only there to make things sad. Which fails, if there is no emotional attachment. If there is no reason to care for them before, why should I care for them afterwards? There aren’t really any scenes that stand out to be in particular. It seems like a chore to read this series thus far. So should you read Abide in the Wind? Well, if you are into selfless heroes who would cry at Satan’s death, a dragon who is really an emotionless child and secretly has an obsession towards as mentioned selfless hero, both of which have no actual character to them whatsoever, then sure! Give it a try. As said, this is only based off of the first two episodes! To that, I answer with: He’s adorable and I honestly have no other ideas. I hated my dream last night. So in my dream, I pulled a all nighter… Doing stupid things. I forgot almost everything I did, but what annoyed me was in my dream, I decided to dye my hair 2am in the morning. So first I bleached the ends which made it all nasty and blonde, THEN added blue dye. God, I looked hideous. So then, around 3am, I thought it was stupid of me, and blamed it on my lack of sleep, and tried to dye it back to my original hair colour, but my hair still looked dry and gross. Thank the lord it was a DREAM. BUT SERIOUSLY, GOOD TO KNOW THAT IF I STAY UNTIL 2AM IN THE MORNING, I WILL BECOME INSANE AND DYE MY HAIR BLUE. THEN AT 3AM REALISE I AM STUPID AND DYE IT BACK. TY DREAM. I don’t even know why my dream self would do that anyways. Y’all should know I NEVER want to dye my hair, besides when I’m some old woman who wants to dye looking young, because all ladies have that obsession. (But even so, I will probably continue to have gray hair and not care.) Especially since in the future, I’m growing my hair to donate it all for those kids who have cancer, which they do not accept impure hair. Gotta have virgin hair, yo. BESIDES, THE COLOUR VERY DARK BROWN SUITS ME. IT’S ALMOST AS DARK AS MY SOUL. :^) Okay, in all honesty, I can’t IMAGINE myself in any other hair colour. I like my hair the way it is. Anyways, what I am going to leave you is: Don’t dye your hair unless you can really take care of your hair often, and get it professionally done.